When every click costs, it pays to be smart. Pay Per Click advertising (PPC) is now such a fundamental internet marketing tool that few businesses can afford to ignore it. Why would you want to, when PPC can be a fast, agile and cost effective way to ensure your target audience can find your business? Whether you’re a start up or an established business, building a strong presence in Google and other search engines takes time. In crowded or competitive markets, SEO isn’t always enough. Ensuring your business features on the first page of Google or Bing may mean using paid advertising. However, poorly-targeted Pay Per Click advertising is an easy way for your business to waste a lot of money very fast. 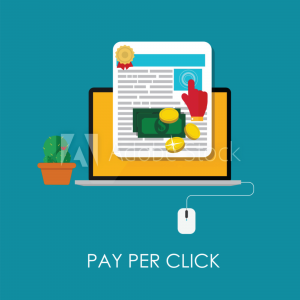 Building a really profitable Pay Per Click campaign requires carefully crafted and maintained ads, integrated with your search engine optimisation strategy. When used properly, PPC can be a fast and effective way for your business to save money, grow sales, or target niche customers. At FireTap, our PPC team are digital advertising ninjas with years of experience and in-depth understanding of how to build and manage successful campaign in Google Adwords and Bing Ads. We can help you get the most of your advertising budget with Search, Display and Remarketing advertising campaigns to increase relevant traffic to your website. We use range of analytical tools to monitor performance and continuously optimise our clients’ PPC campaigns, focusing on conversions and return on investment, rather than click, to build profitable campaigns that generate traffic and leads.